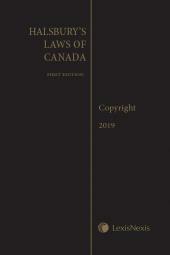 Copyright Legislation & Commentary, 2019 Edition is fully updated to give you an overview of the latest changes affecting copyright law and practice in Canada. 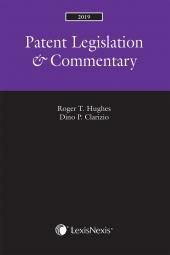 This desktop reference for IP practitioners, agents and clerks brings together the full text of the Copyright Act and Regulations, the Industrial Design Act and Regulations, and the Integrated Circuit Topography Act and Regulations, plus related material. The year in review and introductory commentary by The Honourable Mr. Justice Roger T. Hughes and Susan Peacock fully updates you on legislative and jurisprudential developments. The Hon. Roger T. Hughes, Q.C., B.Sc., LL.B., was a Judge of the Federal Court of Canada and ex officio member of the Federal Court of Appeal from 2005 until his retirement in September 2016. Mr. Hughes was formerly a partner of the law firm Sim, Hughes, Ashton & McKay LLP. He was designated as a Certified Specialist in intellectual property law and civil litigation by the Law Society of Upper Canada, and is a Fellow of the Intellectual Property Institute of Canada. 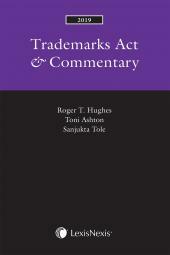 Mr. Hughes is an author of several texts in the litigation and intellectual property fields, including: Federal Courts of Canada Service, Second Edition; Canadian Federal Courts Practice; Hughes & Woodley on Patents, Second Edition; Hughes on Trade Marks, Second Edition; Hughes on Copyright and Industrial Design, Second Edition; Patent Legislation & Commentary (annual edition); Trade-marks Act & Commentary (annual edition); Copyright Legislation & Commentary (annual edition); Canadian Forms & Precedents – Intellectual Property; and Canadian Forms & Precedents – Licensing. He is also a contributor to Halsbury's Laws of Canada – Trademarks, Passing Off and Unfair Competition and Halsbury's Laws of Canada – Patents, Trade Secrets and Industrial Designs. He has published numerous papers and is a frequent speaker on diverse topics, including court practice and procedure and intellectual property. As counsel, Mr. Hughes has appeared in all levels of court, including the Supreme Court of Canada in many cases, mostly dealing with intellectual property. Susan J. Peacock, LL.B., was called to the Ontario Bar in 1980 and practised in the film and television industry. She was Vice-President of the Copyright Collective of Canada and the Canadian Motion Pictures Distributors Association. She is an author of Hughes on Copyright and Industrial Design, Second Edition and Copyright Legislation & Commentary (annual edition), and was a founding editor of Canadian Forms and Precedents – Information Technology & Entertainment, all published by LexisNexis Canada.